Does Check-In Time Affect How Fast Your Bags Are Returned? If you’re one of those sensible travelers who doesn’t pack a month’s worth of clothes into a roller bag and then try to pass it off as your one "personal item," thank you. Your common sense and willingness to shell out $25 has made flying better for everyone. 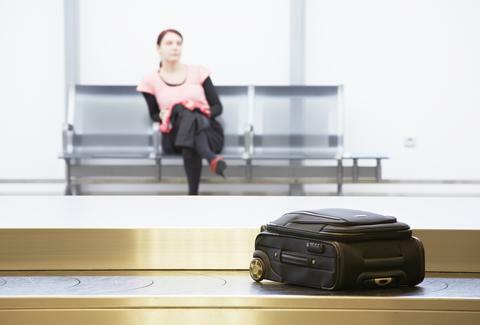 Much like airfare prices, the order in which baggage is loaded and unloaded on a plane is not an exact science -- and a lot of factors determine exactly when your bag arrives. But what are those factors? And are there ANY tricks you can use to increase the odds of your bag coming out first? We decided to ask around, and this is what we learned. Let's cut right to the chase: Is there any way to make sure my baggage comes out first? Yes, but it's going to cost you. Like everything with the airlines these days, things that were once accessible to the masses are now only available to elite travelers and business class. So, if you’re in an elite mileage tier or fly business or first class, your bags will be tagged “priority”, stored separately, and will come out first. Do all airlines do this? No, not all. But all OneWorld, Star Alliance, and SkyTeam airlines offer this service. Check with your airline before booking. So, am I guaranteed first-off with this special tag? Almost. Obviously, baggage handlers, just like all of us, sometimes make mistakes at work. 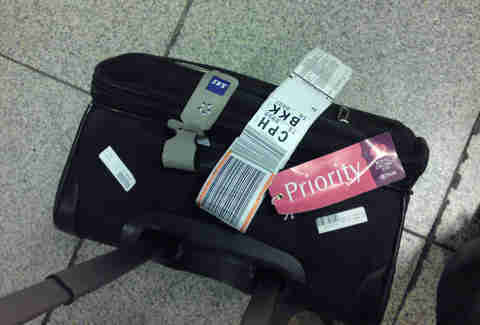 And these mistakes occasionally include not priority tagging your bag and/or putting it on the conveyor first. So, no, you're not guaranteed, but it's rare that you won't. The key is to not go all Alec Baldwin when your suitcase isn’t first off the belt, or it may mysteriously end up in Iceland the next time you fly. But what if I'm flying in coach, will checking in early help? Hmmmm, not really. While the order in which bags are loaded might make some difference, in most cases, it’s not particularly relevant to how they come off the plane. 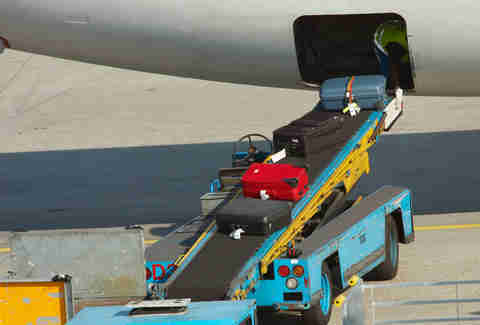 The first bags loaded onto one of the motorized carts back at the terminal are typically the first on the plane, but the layout of the aircraft's storage compartment affects where the bag ends up. Wait, aren’t they all just tossed in the cargo hull? No. Some planes have the equivalent of a “luggage room”, where your bags are placed on- and in-between shelves. 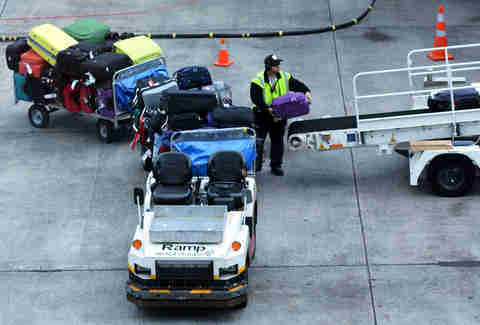 Other planes use baggage containers that are filled on the tarmac, and then loaded onto the plane. Sorta like a moving storage pod that you load in your driveway. If an airline is using this system, your bag may be first into a compartment that’s loaded last. How do I know what type of bag system my airline is using? You don’t. They may have a fleet of A320s, half of which use the shelves while the other half use removable compartments. You can call your airline to ask about your specific plane, but this is probably about as useful as asking for a bag of gluten-free pretzels during the flight. Any idea, why isn’t it just last on, first off? If you’re flying in or out of a really small, old-school airport that has conveyors running directly from the gate to baggage claim, this might actually be the case. But again, most airports today use a train of motorized carts, and the order in which your bag comes off is dependent on which cart it gets loaded on. So you weren't kidding, there's really nothing I can do other than fly first class? Short of wearing all of your clothes at the same time to avoid bringing a bag, like this dude, not really. Then again, you could always just be the a**hole with the 80lb roller bag and save yourself $25, but obviously, we hope you don't.